Purpose-built Tignes offers 150km of action-packed skiing. Being a high-altitude resort, the area generally benefits from good snowfall and what it may lack in charm it certainly makes up for in reliability. For adrenaline junkies, off-piste skiing is particularly good here, as well as freestyling and boarding. In the summer, the white landscape is transformed into a hive of summer activity. The mountains are decked with flowers and wildlife, and the resort offers plenty of alpine activities, from summer skiing, cycling and hiking to fishing and water sports. 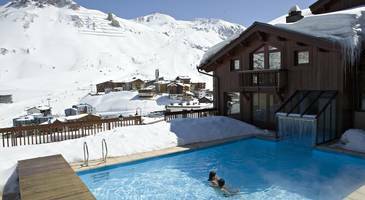 Madame Vacances offers accommodation in the Résidence Village Montana, and the Résidence Montana Airelles in Tignes. Located just a short walk from each other, in the centre of Tignes Le Lac, choose from apartments sleeping two to ten people at Résidence Village Montana, and three-bedroom apartments sleeping eight at Résidence Montana Airelles. Apartments feature fully-equipped kitchens and living areas, private Jacuzzis and saunas, to relax in after a long day on the mountain. 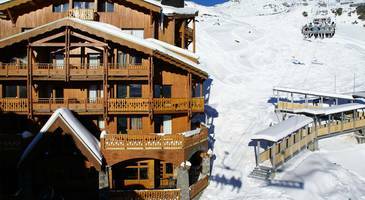 Located in the heart of the Espace Killy ski area. Access to the Spa "Les Bains du Montana" (avec supplément), beds made on arrival and an end of stay cleaning included in the tarrifs.